The TDMoEA interface plug-in card is used to transport TDM (time division multiplexed) traffic over the IP network in addition to normal Ethernet traffic. As the communications network migrates from TDM to IP, the TDMoEA card provides a flexible and cost effective choice for the transport of legacy TDM signals. 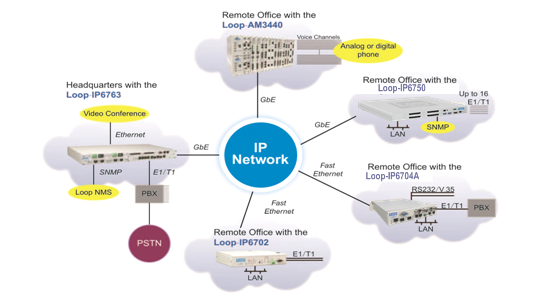 This card is to designed for the Loop-AM3440-A/B/C. 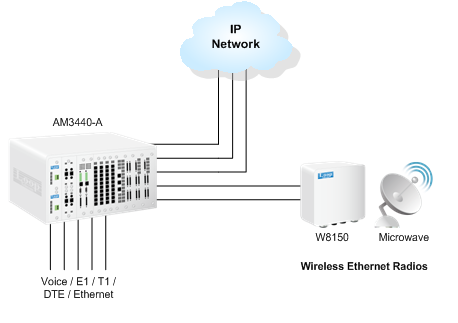 There are four Ethernet ports with no limitation for WAN or LAN port assignment The TDMoEA card support point-to-point and point-to-multi-point voice and data application. It also supports 1 + 1 and 1 : 1 protection. Furthermore, the TDMoEA card of the AM3440 can work with IP67xx family and with TDMoEA* card of O9500R.